If there was any doubt in your mind that banks have been forging evidence, put it to rest. According to the New York Post, an internal Wells Fargo manual has now leaked confirming the exact procedures Wells and its attorneys use to fabricate evidence in foreclosure cases—down to the computer codes they use to order production of falsified documents. Documents include the original note, recorded mortgage, title policy, and recorded and unrecorded assignments. Documents are sent to imaging so that at the time of referral they can be uploaded via VendorScape or Desktop to the Foreclosure Attorney. In other words, the attorney should have a complete copy of the original note, as it exists at the time the foreclosure begins, before filing the foreclosure lawsuit. But not all cases go so smoothly. Sometimes the original note is missing. Sometimes the original note lacks an endorsement—the signature or stamp, like the signature on the back of a check, that transfers the note from one party to another. Sometimes the lawyers need to create an “allonge” to add a missing endorsement. Wells Fargo has a policy and procedure for each of these cases, and that’s where the trouble starts. Attorney: If after the third business day of the referral date you have not received the note, add log code NOTRRP in VendorScape or add the Note Not Received in Referral Package Issue in Desktop. This can be done by selecting Issues from the Tool Menu and selecting Add Issue. • If note is found: complete the K64 step with the actual date the note was provided/sent to the Attorney. If the state does not require the original note, the document will be uploaded to LIV. Otherwise, send the note via mail and track for delivery. • If note is not found: complete the K64 step, delete the N82 step, and add step N83, LOST NOTE AFFIDAVIT NEEDED. Only the Default Doc Team should be adding the N83 step to FOR3. Attorney: Once the N83 step is placed on the loan, this will authorize your office to create and forward a lost note affidavit as described in the Lost Note Affidavits (LNA) process in this manual. WFHM Default Docs Team: Once you receive, execute, and return the LNA to the Attorney, close the N83 step. By the way, did you catch what doesn’t happen in this loop? At After the attorney prepares the cookie-cutter affidavit using this form, Wells Fargo just signs it without making any investigation into whether the affidavit correctly states the facts of how the note was supposedly lost or what search for the note was done. In other words, more robo-signing. Haven’t we been here before? **Please Note** This process is only to be used if your office has already received the note. If you have not received the note, follow process for requesting the note listed in the Missing Note Process section of this manual. That last part is important—this process can only be used when the attorneys already have the original in their custody. Remember that. Attorney: Enter step Z02 (Endorsed Note Needed) to the FOR3 screen (if a loan is in foreclosure) or the BNK3 screen (if a loan is in Bankruptcy). WFHM Default Docs Team: Research needed endorsement. 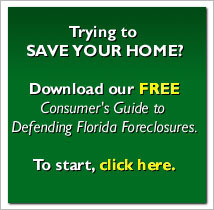 If the blank endorsement is in the file for an original state [a state that requires filing the original note in a foreclosure proceeding, like Florida], execute the endorsement, send the original document to the attorney, and complete the Z02 step. Fortunately for borrowers, Wells Fargo will completely track this sequence of events in Desktop, on the FOR2 and FOR3 screens. A skilled attorney can obtain and decipher these documents, by paying particular attention for Z02 codes. Because the allonge is the piece of paper the endorsement is applied to, it has to be attached to the note at the time the endorsement is made. (Again, see Adams.) If not, it fails to transfer the note. So what happens in Wells Fargo’s world? Attorney: If an allonge is still needed after a note has been endorsed, forward the allonge attachment to Wells Fargo Default Docs area via email address Defaultallongemailbox@wellsfargo.com and add step Y44, ATTORNEY REQUESTED ALLONGE, to FOR3. So what happens if the attorney needs an allonge but still has the original note? No problem! (Actually, big problem.) Wells just executes the allonge and then sends it back to the attorney who then attaches it to the note later. WFHM Default Docs Team: If property is located in an original doc state and attorney has the original note, review the allonge attachment to determine if we have signing authority to execute internally. • If WFHM does not have signing authority, enter log code FCALGE (ALLONGE SENT OUT FOR EXECUTION) and mail document for 3rd party signature. • After allonge has been executed, enter log code FCALGA (ALLONGE COMPLETED/RETURNED TO ATTORNEY). • Complete the Y44 actual date with the date allonge was returned to attorney. This, simply put, means it is the policy and practice of Wells Fargo to manufacture evidence of standing. The good news for borrowers: a skilled attorney can review the FOR2 and FOR3 screens, and look at the dates of the N82 (NOTE SENT TO ATTY) and the Y44 (ALLONGE COMPLETED/RETURNED TO ATTORNEY) codes. That will tell the whole story. You can tell if you get sued by Wells Fargo. They will either be named as the plaintiff, or the complaint will be verified by a Wells Fargo employee. So if you get a lawsuit with Wells Fargo’s filthy fingerprints all over it, find someone who knows how to obtain and read Wells Fargo’s records—the very records that will expose the fraud. Give us a call at (888) 830-0830 or contact us online for an appointment.